A car or truck tune-up is important maintenance for any vehicle. Replacing a vehicle’s spark plugs or ignition wires helps keep the vehicle running a long time, and also helps with the fuel economy for the car or truck. Tune-ups are relatively inexpensive so it’s in your best interest to get your car or truck tuned-up for the fuel you will save, and also for the prolonged life of the car or truck. While some Inglewood, CA transmission repair shops specialize in only one type of service here at NTX Auto we offer a variety of different types of transmission service & maintenance, including our Inglewood, CA tune-up service. The tune-up in an important part of the scheduled maintenance recommended for your vehicle. The primary purpose of our Inglewood, CA tune-up service is to ensure that the components of your vehicle are still in good condition and to replace or repair those that are not. In most instances, our mechanics can provide you with the Inglewood, CA tune-up service that you need and have you back on the road in no time flat. If you have an older vehicle having it tuned-up on a regular basis becomes even more important. As vehicles age certain components begin to fail and wear and tear on the vehicle means that the vehicle must be well maintained if you want to keep it running. 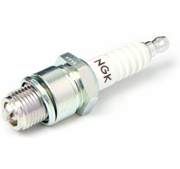 The importance of changing spark plugs and fuel filters for instance increases as a vehicle ages. If these components are overlooked the performance of the vehicle could greatly decrease.